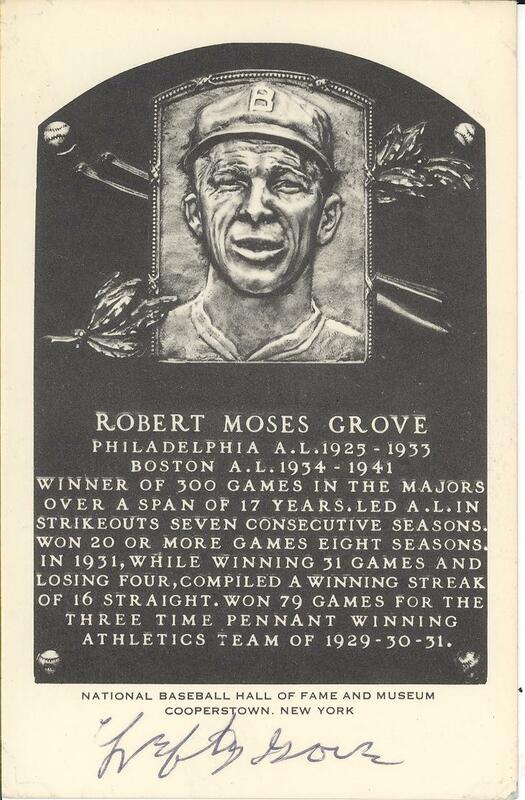 1953 Lefty Grove Signed Artvue Hall of Fame Plaque Postcard, comes with JSA Certificate. Lefty Grove won 300 games over a 17-year career for the Philadelphia Athletics and Boston Red Sox. He led the AL in strikeouts for seven consecutive seasons (1925-31) and won two World Series titles with the Athletics. The postcard is very nicely signed in blue ink on the lower portion of the postcard.